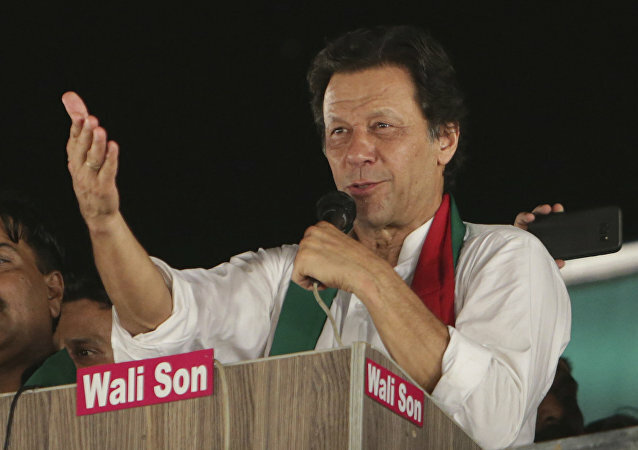 The head of the Pakistani government is expected to meet Iranian Supreme Leader Ayatollah Ali Khamenei and President Hassan Rouhani, as well as other officials. Iran's Supreme Leader Urges Iraq to Ensure US Troops Leave "as Soon as Possible"
Earlier in the day, Iran vowed to equate US troops to the Daesh* if Washington designates its Revolutionary Guard Corps (IRGC) as a terrorist organisation. This week, US Secretary of State Mike Pompeo reiterated Washington's intention to cut Iran's crude oil exports down "to zero as quickly as market conditions will permit." Tensions between the two countries continue to simmer following President Trump's decision to unilaterally withdraw from the Iran nuclear deal and resume sanctions last May. Iranian President Hassan Rouhani has not accepted the resignation of Foreign Minister Javad Zarif. The ministry's spokesman cited the chief of staff of the president of Iran, who said that the resignation hadn't been accepted. Earlier, Iranian lawmakers signed a letter asking President Hassan Rouhani to keep Foreign Minister Javad Zarif at his job. A senior Iranian official said in an interview that the Syrian president confirmed his devotion to Iran during his visit to the Islamic Republic. Iranian Foreign Minister Javad Zarif, one of the chief architects of the 2015 Nuclear Deal, resigned unexpectedly on Monday via a post on Instagram. In January, US President Donald Trump tweeted that creation of a buffer zone in northern Syria could protect Kurds and the Syrian Democratic Forces (SDF) from a hypothetical attack by Turkey. At the same time, European signatories to the deal, striving to preserve the accord, were recently slammed by US Vice President Mike Pence, who stated that they were "undermining the US sanctions". A day before, Iranian Foreign Minister Mohammad Javad Zarif said the EU's current efforts are insufficient to maintain the Iranian Nuclear Deal. 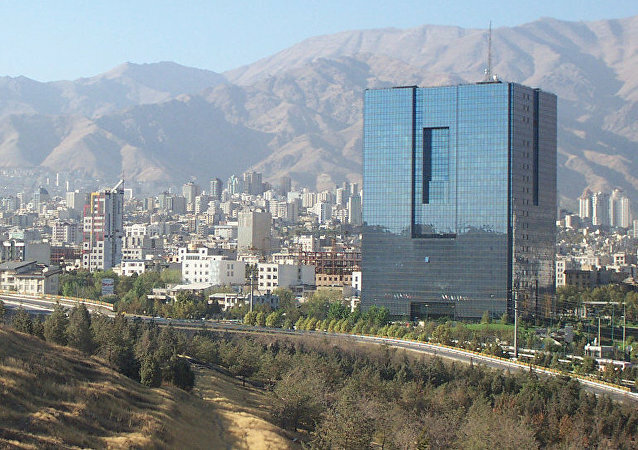 Earlier, the Iranian Supreme Leader tweeted that the United States sought to paralyse Iran's economic growth by introducing sanctions, but that actually they only strengthened Tehran's self-sufficiency. Ayatollah Ali Khamenei is urging the Central Bank of Iran (CBI) to support the ailing national currency amid concerns a weaker rial could negatively affect the well-being of Iranian citizens. Iranian President Hassan Rouhani has assured during the UN meeting in New York that Tehran does not want a war with American forces anywhere in the Middle East. MOSCOW (Sputnik) - The senior adviser to Iranian spiritual leader Ayatollah Khamenei stated the top cleric would never meet with US President Donald Trump. 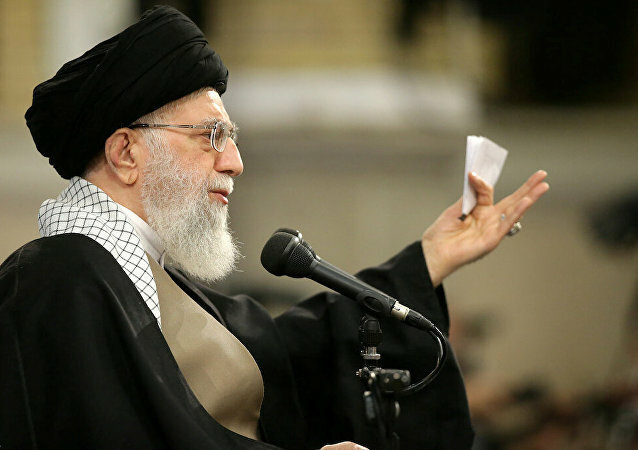 MOSCOW (Sputnik) – Iranian Supreme Leader Ayatollah Ali Khamenei accused the US-backed states of the region of being responsible for the terrorist attack in the southwestern Iranian city of Ahvaz. Beijing has repeatedly been accused of cracking down on Uygurs, a Muslim minority population living in China's westernmost Xinjiang province. The latest accusation came from US Secretary of State Michael Pompeo. 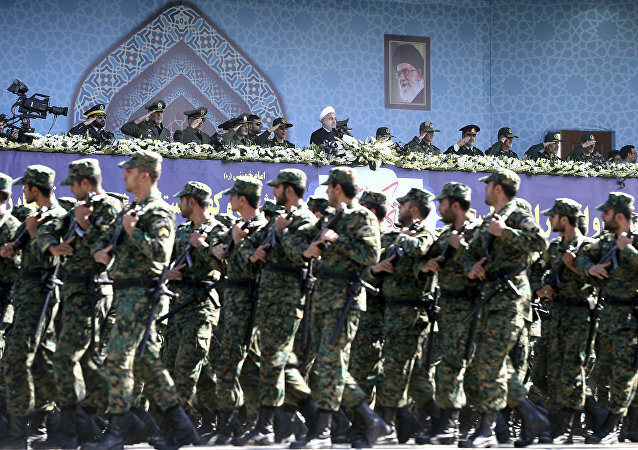 Iran's supreme leader, Ayatollah Ali Khamenei earlier stated that "there is no likelihood of a military war," adding, however, that the armed forces have to "raise their personnel and equipment capacities." Iran's supreme leader, Ayatollah Ali Khamenei, has given tough terms to Britain, France and Germany if they want Tehran to continue implementing g the terms of the landmark nuclear accord signed in 2015. Iran’s supreme leader, Ayatollah Ali Khamenei, has banned holding any direct talks with the United States, according to state television. Iranian Supreme Leader Ayatollah Ali Khamenei made a statement in response to the national judiciary chief's stance on financial crimes and corruption in Iran.